I’m Ed Smith, an Sacramento Autonomous Vehicle Injury Attorney. According to the National Highway Traffic Safety Administration (NHTSA), around 2.2 million people are injured in car crashes every year. Studies revealed that most of those collisions were caused by driver error, such as inattention or distraction. The increasing rate of traffic accidents in the U.S. has led some to suggest that autonomous vehicles (AVs) could go a long way towards decreasing accidents. 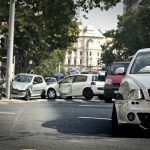 While AVs may reduce the number of car crashes in the nation, there are still a host of concerns related to liability and regulation that could affect those injured in collisions, so if you were injured in an accident that involved an AV, it is vital to speak to an experienced personal injury attorney who can help explain your legal options. 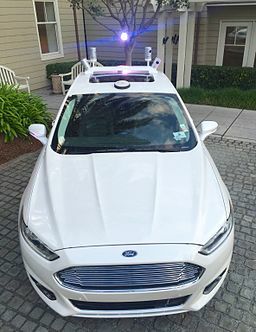 Full self-driving automation, in which the vehicle, whether occupied or unoccupied, performs all safety-critical driving functions and monitors roadway conditions. Liability – So Who Is Really at Fault When an AV Crashes? The individual who causes the technology to engage. Nevada and Florida lawmakers have also clarified that vehicle manufacturers are immune from liability for any aftermarket adaptations that convert a standard vehicle into an AV. Other states mandate that AV manufacturers carry at least $5 million in liability insurance. Recently, RAND Corporation published an article predicting that as AV use increases, liability will shift from drivers to manufacturers. However, this in turn has raised concerns that AV developers will have no incentive to promote the best design or invest in testing protocols. To avoid this, some have argued for implicit or explicit preemption, which would immunize developers and manufacturers from being sued as long as they adhere to minimum federal standards. Another worrying issue is the possibility that AVs could be hacked through remote control of the vehicles’ control systems and central command. A new law, the Security and Privacy in Your Car Act of 2015, would require NHTSA to develop standards to prevent hacking, although if passed, the law would not require the issuance of final regulations for another three years. I’m Ed Smith, a Sacramento Autonomous Vehicle Injury Attorney. If you or a family member has been seriously injured or has passed away in an accident involving an autonomous vehicle, please call me at (916) 921-6400 for free, friendly advice. If you are calling from outside the Sacramento region, please call me on my toll-free line at (800) 404-5400 for free, friendly advice. Read my some of my customer and peer reviews on: Yelp, Avvo, and Google. Look up some of my Past Verdicts and Settlements. Did you know that I am a Million Dollar Advocate? Million Dollar Advocates are trial lawyers who have won multiple million dollar case settlements and verdicts on behalf of their injured clients.